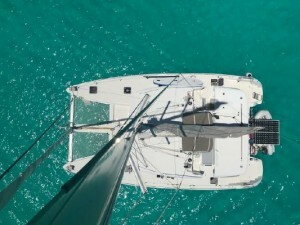 This 2013 Lagoon 52 Flybridge lying in Greece is well maintained and currently in code for charter work. 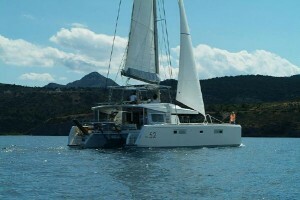 She is the highly versatile, 4 double cabin, 1 single cabin and 2 crew cabin layout. She benefits from 5 en-suites. The vendor is buying a bigger boat, and has reduced the price to sell quickly. Beautiful, fully equipped 2017 model Lagoon 450F built in late 2016 and titled as 2016. 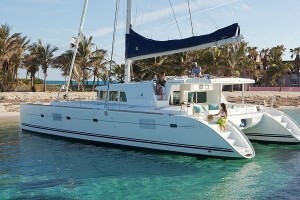 4 cabin version has never been in charter and meticulously maintained by owners with very low hours. 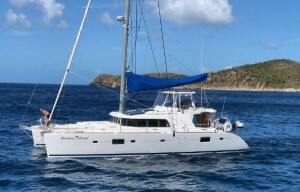 We sailed “Arva” on the east coast during the hurricane season and are currently cruising the Caribbean. 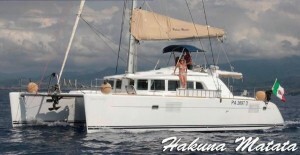 We prepared her to sail to French Polynesia but now need to sell due to parents declining health. She is truly special and is cruise ready. Designed by VPLP, with an interior from Nauta Design the Lagoon 450 is a well thought design allowing for great cruising in comfort. 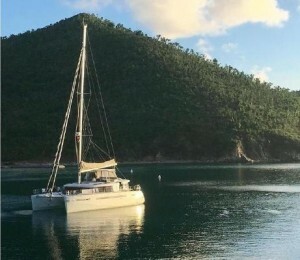 This Lagoon 450 benefits from a very good specification including more power engines, a washing machine and a water maker which makes her ideal for long distance sailing. 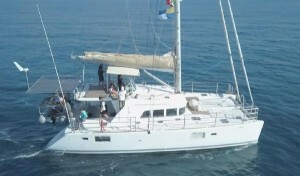 This boat has plenty of accommodation with 4 double cabins each with their own bathroom. The comfortable saloon and aft cockpit gives plenty of space to relax and enjoy your time on board.